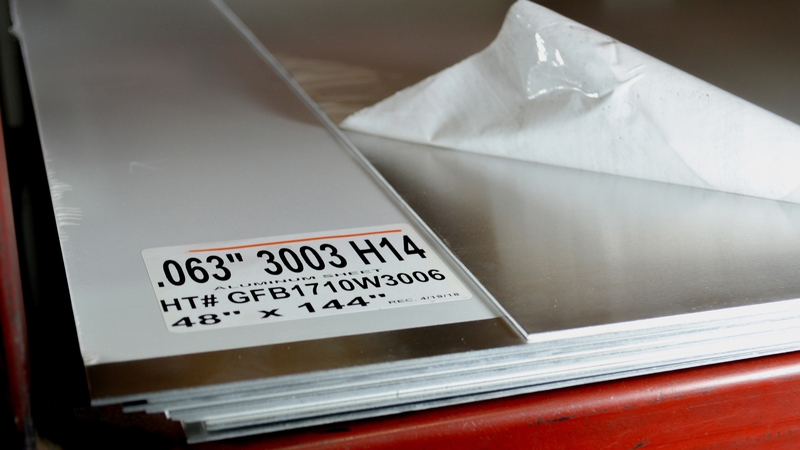 Deciding which grade of aluminum sheet to use for a specific project can be a daunting task. Not only do you have to consider the durability and strength of a grade but also if it will meet your manufacturing needs such as formability and weldability. Each grade is designated by a four digit number, which indicates its alloying elements, as well as a “temper,” which follows the alloying elements separated by hyphen. Tempering is a secondary process, like heat treating, designated with a "T" and Strain-Hardened designated with a "H." These processes are used to change the characteristics of the material to increase strength, formability or weldability. Common Grades of Aluminum Sheet Stocked by A.E.D. 6061 is one of the most versatile and economical of the heat-treatable aluminum alloys. It has very good corrosion resistance and has excellent formability and weldability. 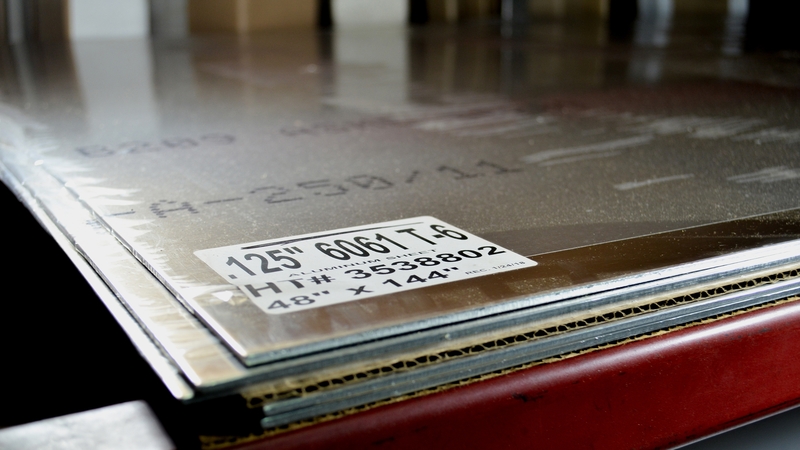 6061 is the strongest grade of aluminum sheet stocked by A.E.D. 6061 is stocked in two different tempers: 6061-T6 and 6061-T4. 6061-T6 is the more rigid of the tempers and is best used for parts that will not have any forming done to the material. 6061-T6 sheets meet the aerospace specification AMS 4027 and AMS QQ-A-250/11. 6061-T4 is softer and is typically for parts where the strength of 6061-T6 is needed but the material must be formed. 6061-T4 sheets meet the aerospace specification AMS 4026 and AMS QQ-A-250/11. 5052-H32 is one of the strongest of the non-heat-treatable aluminum alloys. 5052 has higher fatigue strength than most other aluminum alloys. It has excellent corrosion resistance and is great for applications that will encounter a salt water atmosphere. 5052 also has excellent weldability and workability with excellent finishing characteristics. 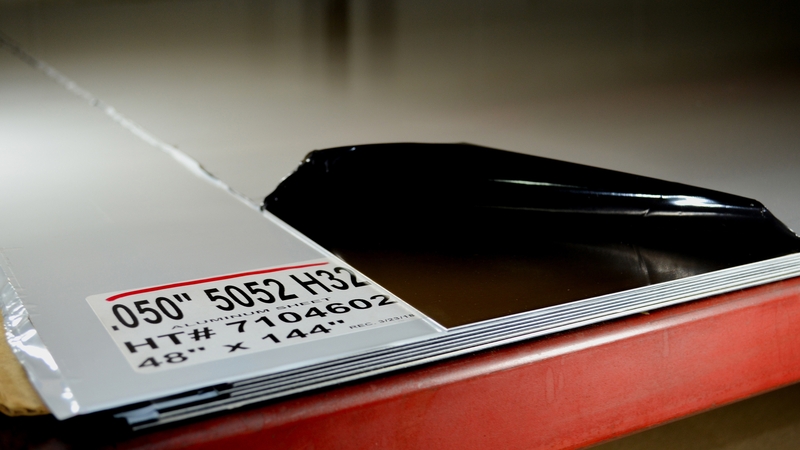 5052-H32 sheets meet the aerospace specification AMS 4016 and AMS QQ-A-250/8. 3003-H14 is another non-heat-treatable aluminum alloy. 3003 is one of the most widely used of all aluminum alloys. It is a general purpose aluminum, with moderate strength, good workability and weldability, and excellent corrosion resistance. 3003 may be deep drawn, or spun, welded, or brazed. 3003-H14 sheets meet the aerospace specification AMS 4009, as well as AMS QQ-A-250/2. A.E.D. also stocks a 3003-H22 Treadbright sheet. 3003 Treadbright sheets can be formed relatively easily and are popular in trailer floors, building applications, etc. 3003-H22 Treadbright sheets meet ASTM-B209. A.E.D. also stocks Pre-painted Aluminum sheets in various colors. They are great for race car bodies and trailer walls. Pre-painted aluminum is a 3105 alloy and is stocked in .040” x 48” x 120”, and are sold as full sheets only. 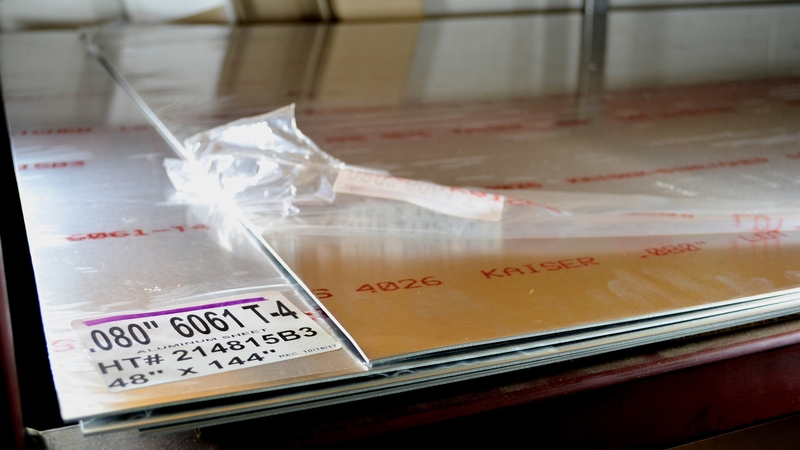 7075 and 2024 Aluminum sheets may also be available upon request. Please let your A.E.D sales rep know what size and specifications you are looking for.